The demand for legal assistants is skyrocketing. So, can you scribble your resume in the margin of a brief and get the job? Maybe if you want to work for Slippin’ Jimmy. But you want the solid legal assistant job. The Ropes & Gray or Foley Hoag-type job. You want high pay, prestige, and a blissed-out work life. That job needs a legal assistant resume that stands out like a bespoke Brioni in a sea of tee shirts. It comes down to (1) how you pick achievements from your past and (2) how you show them on your resume for legal jobs. A legal assistant resume example better than 9 out of 10 others. How to write a legal assistant resume that gets more interviews. Tips and examples of how to put skills and achievements on a legal assistant resume. How to describe your experience on a resume for a legal assistant to get any job you want. 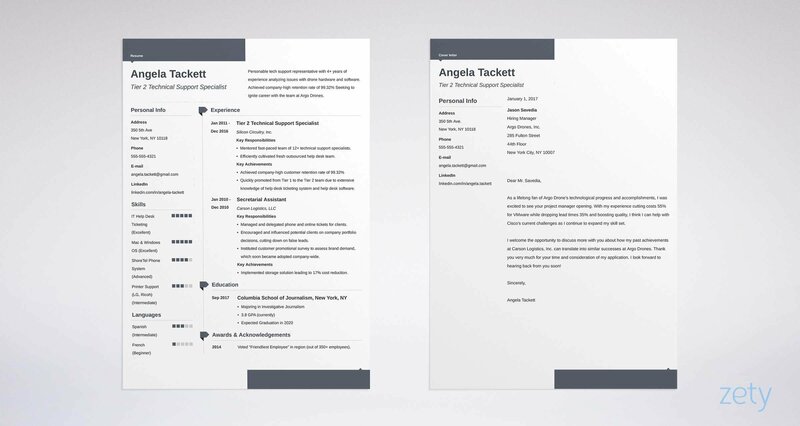 Here's a legal assistant resume template made with our online resume builder tool. Need to make a resume quick, with bonus tips from experts? Use our examples and build your resume here. Sample Legal Assistant Resume - See more templates and create your resume here. What's the Best Format for a Legal Assistant Resume? Say hello to the hiring manager at that high-powered firm. His name’s Kevin and he’d give his bar membership for a detail-oriented assistant. Are you shocked your legal administrative assistant resume must give him that? Impress him with the best legal assistant resume format. The reverse-chronological resume format would convince a hung jury. It opens with your most recent accomplishments. Fill it with the best resume fonts, big, friendly headings, and lots of white space. But—should you send it as a PDF or in MS Word? Today’s PDFs are machine readable. Send a legal assistant resume PDF unless the job ad outlaws it. Pro Tip: Is this your first time writing a resume? Use the combination resume format. It’ll make your case with all your best transferable achievements from past jobs. A legal brief starts with a short description of the case. The first paragraph of your legal assistant resume should do that for your career. It’s called a resume summary or resume objective. But which is which? And which one should you use? A resume summary works if you’ve got more experience than Phil Beck. It proves you can do that job because it shows you already have. Is your experience still making its opening arguments? Write a resume objective. It conveys your Harvey Specter-level passion. Pack either with evidence of your achievements. These two senior legal assistant resume examples show how. Where’s the infraction in the first of our senior legal assistant resume samples? Hard-working legal assistant with 3 years of experience and skills in research and writing. Handled all legal assistant duties and responsibilities in a fast-paced law firm, including writing legal documents and preparing briefs. That's not actionable, but it won’t impress the jury. Solution-driven legal assistant and CP with 3+ years of experience. Seeking to help Flagler & Comiter's mission to support its clients with high-quality legal representation. At Reiger, Reiger & Wolff conducted 50+ trademark searches. Prepped and formatted 3 litigation briefs with commendation from litigator in each case. Wrote 200+ legal documents, 98% error-free. That legal assistant resume summary could get you hired at Sullivan & Cromwell. Is your experience less convincing? See the junior legal assistant resume examples below. Still an entry-level legal assistant with no experience? Motivated legal assistant, highly skilled in contractual agreements and research. Adept at writing legal documents, spreadsheets, and videoconferencing. Excited to learn on the job. Who’s that, Lionel Hutz? A legal administrative assistant resume objective like that lacks evidence. Solution-driven legal assistant, skilled in research, writing, and intellectual property law. Have volunteered as legal assistant at Callanan, Wiltse & Brown and worked as a file clerk at the law firm of Dickey, Mathieu & Hewke. Have been a notary for 2 years, witnessing approx. 30 transactions. As freelance journalist, published stories in Parade magazine and The Boston Globe. And if you have no experience for a resume for legal assistant jobs? Pro Tip: The first legal office assistant resume sample summary above says, “solution-driven.” It adds, “seeking to further Flagler’s mission.” Those points came straight from the online legal assistant job description. Seek yours there too. Let’s look in on Kevin, our hiring manager. He really cares about experience. But he doesn’t just want someone who’s had a legal assistant job. He wants to know you’ve had the exact legal assistant jobs that match his needs. So, bind your legal assistant skills resume experience to the job offer like you notarized it. First, highlight the legal assistant duties and responsibilities in the job ad. Then, research your past for evidence. Coordinated all office IT contractors, slashing costs 25%. Prepared and formatted 3 litigation briefs. Commended by litigator for each. Drafted 800+ professional letters, ensuring 100% accuracy. Perfect. You just made your case like Kelly Ayotte. You used measurable accomplishments that replevin the job. Responsible for conducting trademark searches. Assisted with preparing and formatting litigation briefs. Tasked with drafting professional letters. So you’ve held legal assistant jobs. But did you do them like Elle Woods or Barry Zuckercorn? I mean—were you good at it? The best legal assistant resume examples use numbers and achievements. Think you don’t have those? See the entry-level legal assistant resume examples below. Nobody will hire a legal assistant with no experience. List any work experience that shows you’ve got those J.A.R.V.I.S. chops. The next entry-level legal administrative assistant resume samples will brief you. Legal Assistant Experience: None yet, but I’m a very hard worker, fast learner and I’m passionate about my work. Guilty! Up the river with you. Volunteer fill-in legal assistant, Callanan, Wiltse & Brown. File clerk, Dickey, Mathieu & Hewke. Freelance journalist, published in Parade & The Boston Globe. Freelance Notary, witnessing an average 15/yr transactions and contracts. Vinny Gambini couldn’t have done it better. Even the journalism helps. It shows you’re good at writing. But you might already have the makings of a legal assistant resume like that. Pro Tip: Can’t get a job with a real estate or immigration legal assistant resume? Consider taking a legal secretary job and working up. You can get a paralegal certification in as little as 14 weeks. Every legal assistant resume needs an education section. But there are two ways to write it. Only one will get you hired. Add 3–5 bullet points. Stuff them with achievements that cement you to the job like civil law. Pursued a passion for writing and research coursework. Commended by 4 professors for attention to detail. No objection. That assistant was getting ready for this job in college. Praised by professor for project in intellectual property law. Received degree with concentration in creative writing. That legal office assistant resume example won’t make parole. Pro Tip: Online paralegal degrees aren’t always ABA approved. Most lack internships and other bells and whistles. Here’s a good list of ABA sanctioned online programs. If you can prove your legal assistant skills, you’ll land the interview. So why doesn’t everybody do it? They don’t know how to customize a legal assistant resume skills section. The next of our legal office assistant resume examples shows the prima facie evidence. It’s for a job that wants skills in (1) legal document preparation, (2) AV systems, and (3) scheduling appointments. Of course you’ll show legal document prep, AV skills, and scheduling in your skills list, plus a couple more. (1) Wrote 200+ legal documents, 98% error-free. (2) Maintained AV system with zero work stoppages for 3 years. (3) Scheduled 1,000+ appointments per year with 99% client satisfaction. That’s no mere legal assistant resume skills list. It’s a court order for an interview. Use the legal assistant skills for resumes below to start. It doesn’t have them all. Find more in the job ad and other job offers online. Pro Tip: When you use LinkedIn as your job search site, you get lists of legal assistant or legal administrative assistant resume skills for each job posting. These are the exact skills the employer wants. A paralegal certification, notary license, or professional legal secretary certificate all look great on legal assistant resumes. But that hiring manager is busy. He’s got mountains of research, writing and a thousand calls to make. He might miss your great certification if you hide it in your resume for legal assistant jobs. Then the employer will know you’re qualified, even if he skims your resume for legal assistant jobs. What’s the difference between a paralegal and a legal assistant? Good question! In the past, paralegal and legal assistant meant the same thing. Both were legal professionals who did quasi-lawyer work. Law firms started calling legal secretaries legal assistants too. To confuse things further, NALA (the National Association of Legal Assistants) used to issue a “CLA” certification for paralegals. Pro Tip: Are you a certified paralegal? List that near the top of your general, bankruptcy, or family law legal assistant resume. Otherwise, put your PLS, or Notary license in that place of honor. Let’s get back to our hiring manager, Kevin. Someone who “needs a job?” Or—a legal assistant who cares more about her work than Jack McCoy? On a resume for legal assistant work, that means adding “other” sections. See that in two sample legal assistant resume sections. I like unboxing Hummel figurines. I have a pontoon boat and love using it on weekends. Interesting. Now let’s show you’re a great legal assistant instead. Above the Law blog—Article about intellectual property. Interviewed by The Lawyerist podcast about contractual law. NALS Conference 2017—Spoke on a panel about intellectual property. Volunteer 2x/mo at Shady Grove Homeless Shelter. Do yoga 3x per week as self care. That’s no generic legal administrative assistant resume. It’s a fledgeling Stephen Neale. Even the “yoga” helps because you listed it as self-care. You obviously know enough to do self-maintenance. Pro Tip: Even with no experience, you can have a killer resume. Cram it with positions you had at school (assistant, intern, projects, part-time jobs). Pack each with bullets that show your super-helper powers. What About a Legal Assistant Cover Letter? Do you need to send a cover letter with a legal assistant resume? If you want the firm to take you seriously, yes. Most hiring managers will skim your resume in six seconds. A decent legal assistant cover letter can turn those seconds into minutes and a phone call. Use the manager’s name if you can find it. Then show you understand his needs. Then show the smoking gun: proof you’ve already solved problems like his. I’ve wanted to work exclusively in intellectual property law for years. At Reiger, Reiger & Wolff, I conducted over 50 trademark searches and prepared 200+ legal documents, many in the intellectual property field. Always end a cover letter with an offer. For example: “I’d be happy to jump on a call to discuss how I built and led a team of 50+ volunteers for a money making hobby project." Pro Tip: When you get the interview, wear a suit. Bring extra copies of your resume. Research the firm and have some interesting questions ready to ask them. Is it easy to add contact info to a legal office assistant resume? A "professional email address” is john.doe@gmail.com. Don’t use bigstevefunboyparty23234@yahoo.com. But don’t leave off your LinkedIn profile. Today, 87% of recruiters use LinkedIn for hiring. Pro Tip: Did you work as a receptionist for just a couple months? Ditch it from your legal administrative assistant resume. Use the space to show how much you soared in more relevant jobs. Write a legal assistant resume objective or resume summary. Stuff either one with metrics to get custody of the interview. Read the job description like an email from Erin Brockovich. Write legal assistant resume bullet points full of achievements that match. Add other sections that prove you bleed legal assistant skills. List publications, certifications, volunteer work, conferences, and professional associations. Write a legal assistant cover letter. 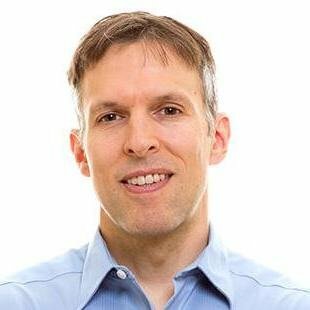 In it, show you understand the firm’s problems and you’ll solve them like Evan Chesler. Do you have questions on how to write a great resume for a legal assistant? Not sure how to describe your skills or achievements? Give us a shout in the comments! We’d be happy to reply. List of illegal interview questions outlawed by the EEOC. Don’t ask & don’t answer these illegal job interview questions—and find out what to say instead.